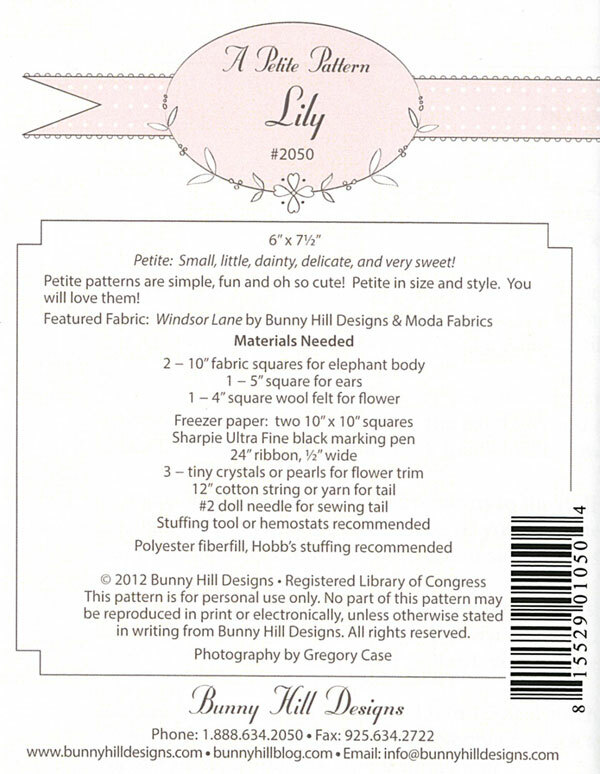 Lily Elephant petite stuffed animal sewing pattern from Bunny Hill Designs by Annie Sutton. Finished size is 6" X 7.5". Use up small pieces of fabric leftover from quilt projects to make great gifts, wall decorations or tree ornaments. 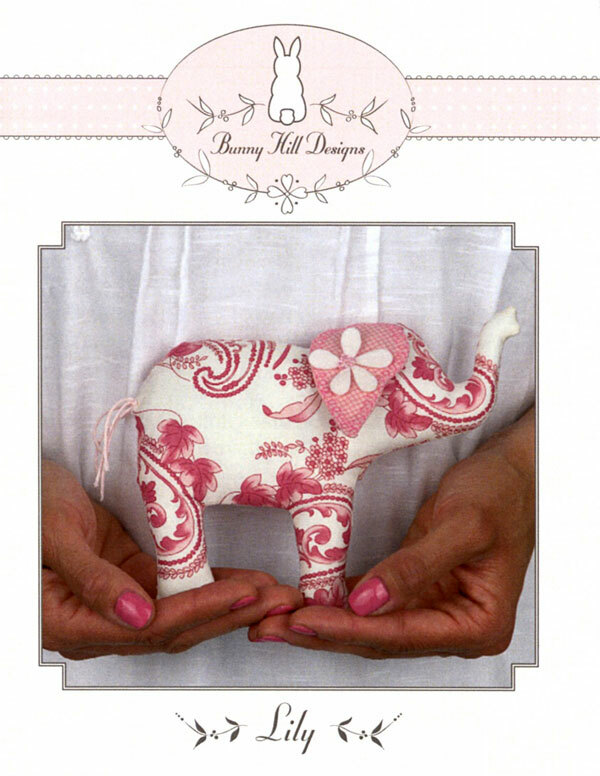 Use this cute petite pattern to decorate a table, a gift basket, a package or Christmas tree.